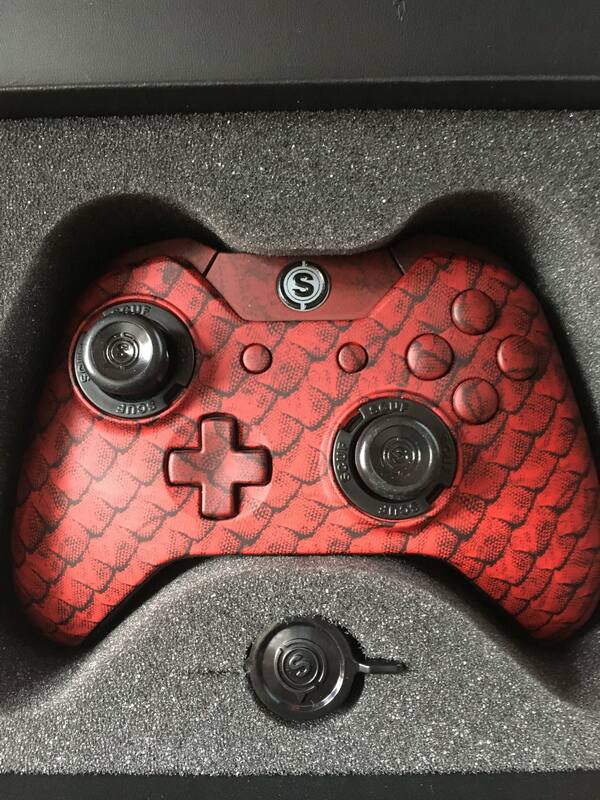 For over 6 years, Scuf Gaming have been creating customised controllers and have become a household name in the console esports scene. 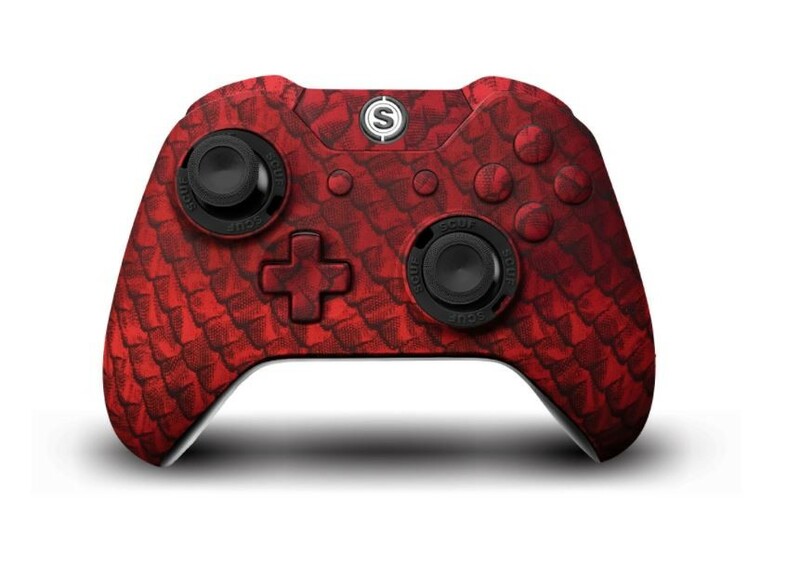 The SCUF Infinity1 is their latest Xbox offering, packed full of innovative features, I was fortunate to get my hands on their new Red Dragon Design to see what it was all about. If you are new to Scuf Gaming, there are several features which make this controller stand out from the rest. 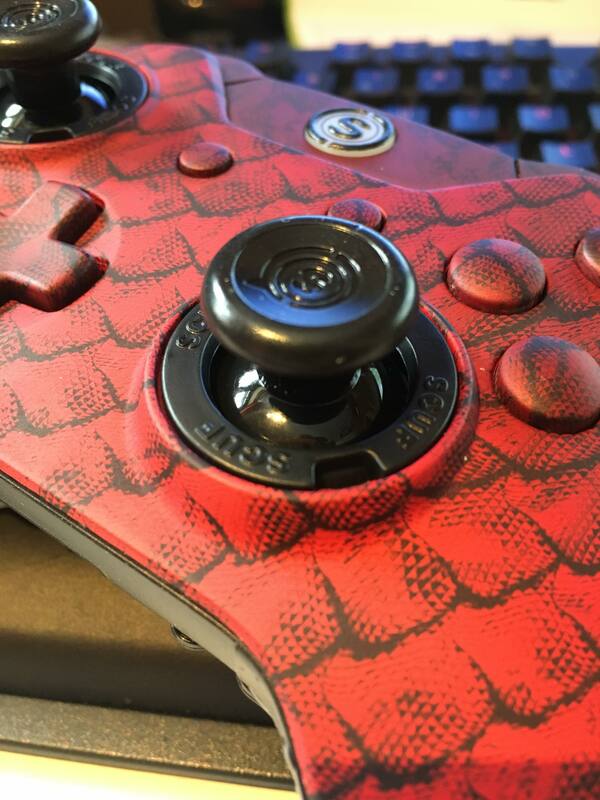 Having owned several SCUF controllers over the years, the feature that stood out for me was the EMR. (Electromagnetic Re-mapping) Having the ability to change the function of the paddles in order to suit your playstyle has made a huge difference to my gameplay, particularly in Halo. I decided to switch one of the paddles to be used as pressing the right thumbstick down so I could easily manoeuvre around the map without having to think about what I was doing. It is so easy to use too. Simply place the magnet at the back of the controller, press the paddle you want to change, press the new function and there you have it. An incredibly innovative feature which has increased the functionality of a console controller once again. 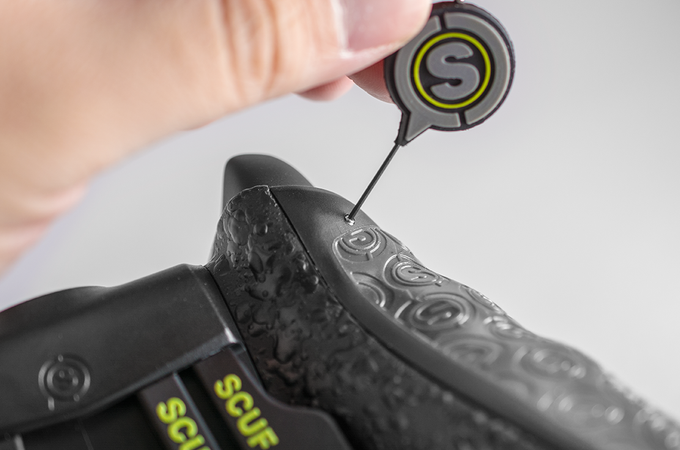 The Ring + Lock System has been part of SCUF for a couple of years now and is another one of their innovations which allow players to make their controller the perfect for them. As I prefer a longer left thumbstick, I was easily able to switch the stick thanks to the removeable SCUF Rings, meaning that my hand fits to the controller perfectly. Comfort is extremely important whether you are a professional player or just a causal gamer that likes to play for a long period of time. SCUF controllers have been designed with ergonomics and comfort in mind, maximising the functionality of your hand in order to minimise any form of discomfort when playing. 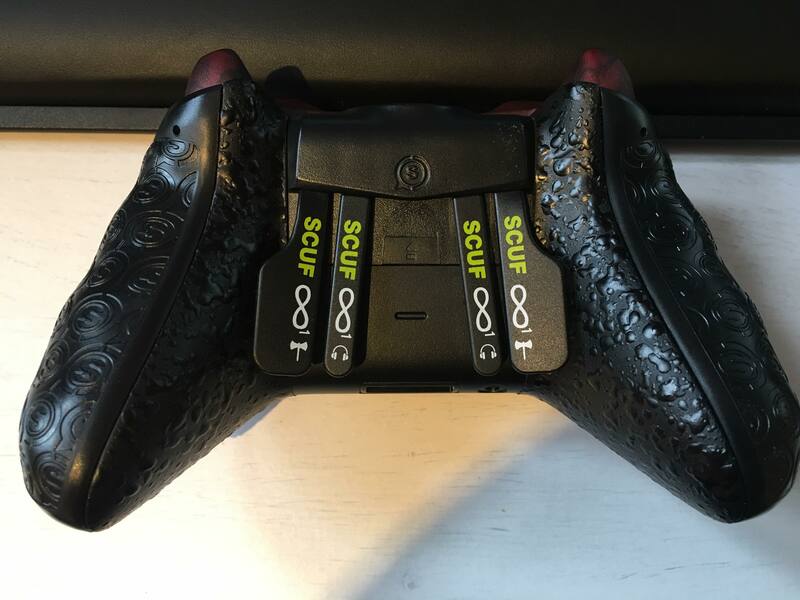 Looking at my previous SCUF One controller, I also noticed that the paddle design on the Infinity is slightly different. The two outer paddles have a larger surface area whereas the inside paddles are much narrower. I found that the outside paddles were perfect to rest my middle fingers on and I was able to press the inside paddles easily, with minimal discomfort. Even when pressing the paddles, there is a substantial click which makes it feel like it has been built with quality at the forefront. 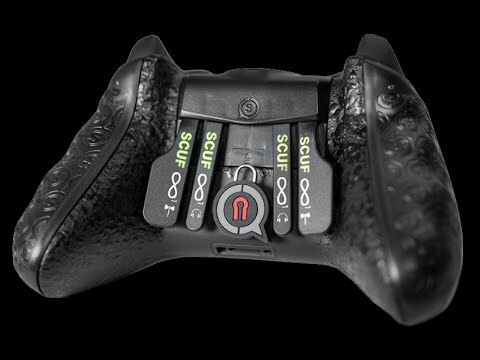 This particular feature has been synonymous with SCUF since their Xbox 360 controllers. The trigger stops are an integral part of a controller when it comes to console esports. Having the ability to adjust the tension of each individual trigger to achieve the quickest reaction time is very important if you want to have the edge over your opponents. Using the 0.9mm SCUF key, I was able to fine tune each of my triggers in order to have the fastest reaction time. This was great when it came to Halo FFA as I managed to land my first shots faster than the majority of my opponents. On the back of the controller are two removable grips. The controller came with two FPS grips which I was able to equip quickly thanks to the removal tool provided. I felt an immediate difference when it came to holding the controller. The FPS grip combined with a dollop of Gamer Grip was the perfect combination when my hands started to sweat in a close Slayer match. The grips allowed me to keep my hands on the controller even in the heat of a close game. Whether you are an aspiring pro or just a casual gamer who wants the upper hand over your friends, the SCUF Infinity1 is an incredible controller that can be customised to your personal preference. The amazing build quality means it will last for a very long time and the awesome dragon design makes it stand out from the rest. If you want to learn more about these features on the Scuf Infinity1, click here for more information.